This is my first quadcopter. Armattan has set the bar high for any future purchases that I make. Customer service is the best I have had, with any type of purchase, in some time. Let me start by saying this kwad impressed me the second I pulled it out of the box! It's durability was proven on its second flight. I removed my goggles and tried to land LOS, only to loose control. Gaining about 80' before flipping upside down and accelerating straight into my neighbors backyard. After crashing full throttle I was sure it was done for. To my my surprise just a couple bent props. I'm amazed. Durable and flys like a dream. That's all I can say. Thanks Armattan, you guys rock! 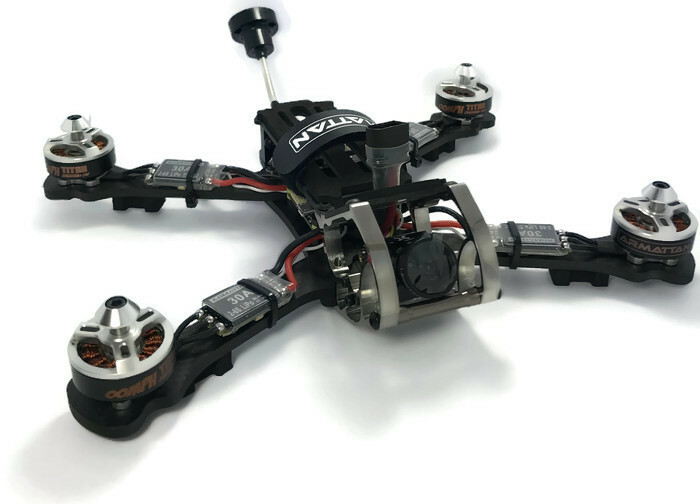 A beautifully made and engineered quad. The way the components have been placed and connected is a work of art. It flies nicely and has plenty of power. You can not fault Armattan on this one and their after sales service and support has been second to none. Many thanks guys.